The era of Antarctic exploration that lasted from the early 19th century to about 1920 was known as The Heroic Age of Antarctic Exploration. During this period, expeditions from all over the world were launched toward the Antarctic continent -- often with few supplies and insufficient crews -- in the hopes of being the first to truly explore Antarctica. One such endeavor was called the Imperial Trans-Antarctic Expedition of 1914-17, led by Ernest Shackleton. This voyage was ill-fated. Shackleton's ship, the Endeavor, became frozen solid in ice and was eventually dragged into the sea. The crew camped on an ice floe (basically, a large chunk of floating ice) and simply waited, hoping that they would miraculously drift toward land. After a few days, their ice floe broke in two, leaving Shackleton with only one choice: abandon the ice floe and set out in tiny life boats. What used to be an exploratory effort became solely about survival. Eventually, a large portion of the crew was rescued, though there were three casualties. All of the crew members knew the risks going into it; Shackleton himself had set out for the Antarctic previously. Yet they all did it anyway, and for what? You have to think that they must have been crazy. For what some might call an inherent human desire to explore. To simply look in the distance upon a vast expanse of uncharted territory and feel nothing less than an unavoidable, nigh crippling desire to simply set forth and see what's there. This is, of course, leading to videogames. I call this draw of exploration inherent in the human condition because I think that every gamer feels it. It's a part of who we, as humans, are, both outside of the world of videogames and within it. If we take a moment to really look at ourselves and our gaming desires, we'll find that we're not so different from Ernest Shackleton and his small crew of Antarctic explorers. To do this, let's explore two games that many of us are either now playing or have played in the past: The Elder Scrolls: Oblivion and Shadow Complex. These games are, on the surface, vastly different, both in subject matter, gameplay style, overall look, and (most importantly to this topic) length. Yet one thing that both of these games have in common is that they tap into our desire to explore, and they do so in two different ways that are equally effective. Imagine this as a real map, and being tasked with filling it in. 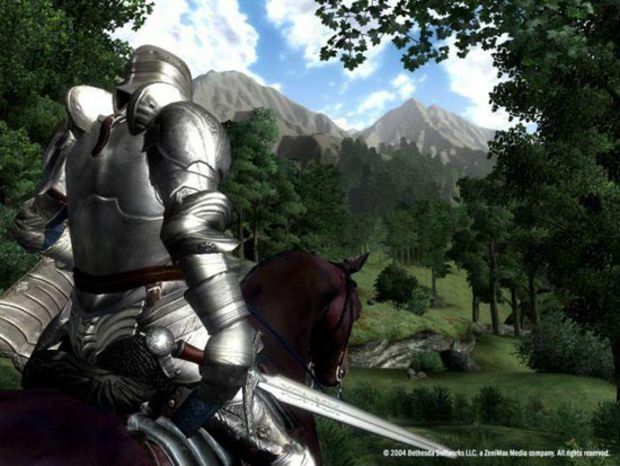 Let's start with Oblivion, a game that is, in essence, built around exploration. From the moment your character exits the starting sewer area, you're able to wander the expansive world that is put before you. And massive it is: people have reported spending hundreds of hours with the game, yet still finding new places to discover. It's easy to see how a game like this taps into our desire to explore. As we spy a massive city in the distance, we wonder "What's there?" A snowy mountain may seem out of reach, but that won't stop us from wondering what we might find if we travel to its peak. A thick forest might contain some ruins or shrines, yet we'll never know unless we set out and explore. We hope to see everything that there is to see. Just like Shackleton, we want to know what wonders this world holds, and we're going to be the ones to find out. Yet there's more to it than simply offering us a large world. What we're presented with in Oblivion is not only a huge, rich world, but a huge, rich, uncharted world. 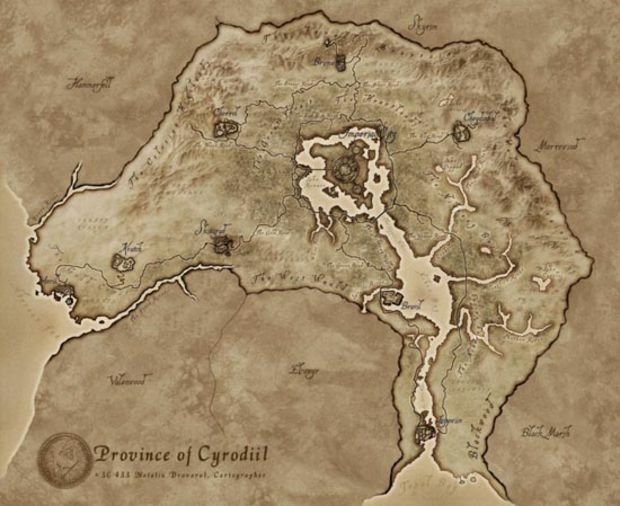 When the player begins, the in-game map looks incredibly sparse, revealing a very small number of locations to help players get their bearings. Sure, civilization exists on nearly every corner of the map, but how is the player expected to know this? We're not driven by the desire to see what we know is there, but rather to see what might be there. We may find nothing at all, which isn't a rare occurrence in Oblivion. Yet we continue our voyages anyway, hoping to find even one more marker on our map pointing the way to what could, in our minds, be the most amazing thing we've seen yet. Shadow Complex is very different sort of game. Of course, we all know that it's billed as a "Metroidvania" game, in which the discovery of new equipment and hope of finding every inch of accessible real estate on the map are the primary motivators. Despite the environment of the game being extremely confined in reality -- full of nothing more than a series of snaking corridors and a few outdoor areas -- the thrill of exploration is still present, thanks in large part to that ever-present counter at the top of the screen, letting us know just how close we are to seeing it all. Imagine a dark, dank corner of a ship's cabin, where a tattered brown map is hung haphazardly on the wall, waiting to be filled in by some ambitious explorer. Is the underlying desire any different? There's a huge world out there for us, and, unfortunately, it's the curse of our time that nearly everything worth seeing has already been discovered by someone else. Not so in a game like Shadow Complex. We're given the map, and the percentage counter serves as the constant nagging voice reminding us that there's more to be found. It scratches the same itch that Shackleton's Voyage must have: we're going to be the ones to discover something that is, until now, completely virgin. 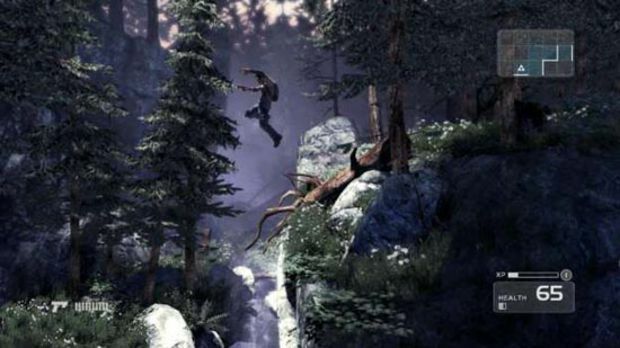 Of course, the virginity of Shadow Complex's map is just an illusion, as thousands of others are getting their 100% statistics at this very moment. Still, it's an effective tactic to make us, as gamers, revel in the love of discovery that we already have. If the possibility of fully exploring a world is presented to us, we'll take it every time. I had never really considered how meaningful this shot is. Just feels like the beginning of an epic expedition, doesn't it? So, both Shadow Complex and Oblivion, despite being vastly different games and approaching exploration is divergent manners, manage to invoke in us a feeling of wonderment toward the unknown, which (in my case, at least), makes the game experience that much more fulfilling. It's something that I think nearly every game can benefit from in some way - and something that I think many games do very effectively. One of my most vivid memories of Sacred 2 was the instance in which I stumbled, quite on accident, upon a huge series of waterfalls. I had no idea to expect such a sight, and I literally stopped my character, rested the controller on my leg, and took in the view, as if I, the explorer - not the gamer - had made this discovery. There are few greater feelings in life -- it's one that explorers throughout history have risked or even given their lives to experience. When a game can replicate this feeling, I can't help but feel lucky to be a gamer.